Top 5 Indian Companies in Automobile Industry: Hello, Everyone Today I am going to share some interesting facts on the Top Five Indian Companies in the Automobiles Industry. The automotive industry is a wide range of companies and the organizations which is involved in the design, development, manufacturing, marketing, and the selling of motor vehicles, from which some of them are called automakers. Automobile Industry is one of the world’s most important economic sectors by the revenue. The automotive industry does not includes the industries which dedicated to the maintenance of the automobiles following the delivery to end the user, such as automobile repair shops and the motor fuel filling stations. The automotive industry has begun in the year of 1890s with the hundreds of manufacturers in it and that pioneered the horseless carriage. For the many decades, the United States led the world in the total of automobile production. In the year of 1929, the world had around 32,028,500 automobiles in the use, and the U.S. automobile industry also produced over 90% of them. At that time, the U.S. had one car per 4.87 persons. 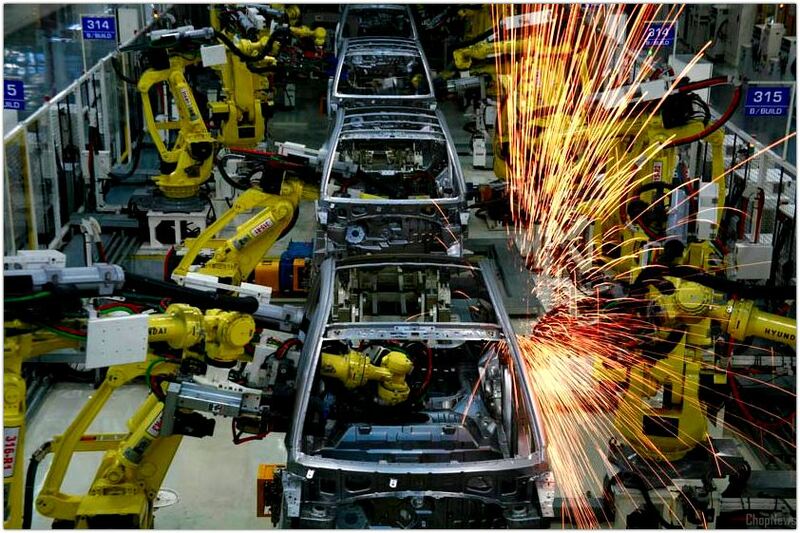 After the World War II, the U.S. produced about the 75 percent of world’s auto production. In the year of 1980, the U.S. was overtaken by the Japan and japan became world’s leader again in the year of 1994. In the year of 2006, The Japan narrowly passed the U.S. in the production and also held this rank until in the year 2009, when China took the top spot with the 13.8 million units. With the 19.3 million units which manufactured in the year of 2012, China almost doubled the U.S. production, with the 10.3 million units, while Japan was in the third place with over 9.9 million units. It is a subsidiary of the Suzuki- a Japanese automobile and the motorbike manufacturer too, Maruti Suzuki India Limited is an Indian automobile manufacturer company. Maruti Suzuki India is the most well-known and well-recognized automobile manufacturer in the India. This Indian automobile company is popularly known as The Maruti, which is used to be called as Maruti Udyog Limited at the time of its inception. The Maruti Udyog Limited was founded by the Government of India in the year of 1981, it is only to merge with the Japanese automobile company called Suzuki in the year of October 1982. The first manufacturing factory of the Maruti was established in the Gurgaon NCR, and Haryana, in the same year. Mr. R.C. Bhargava is the chairman of the company of Maruti and Mr. Kenichi Ayukawa is the CEO and the Managing Director. This is the South Korean automobile manufacturer of India; the Hyundai Motors is also ranked amongst the biggest car maker in the whole world. Its subordinate, the Hyundai motor india limited is the second biggest car producer in the India with its popular brands namely such as Getz, Sonata Embera, Santro, Elantra, Accent and Tuscon under it. This company has been certified under the ISO 14001 for entailing the sustainable eco-friendly administration practices. This Firm is Initiated in the year of 1967, as a Hyundai Motor Company, has it’s the headquarters at the capital of South Korea which is called Seoul. The Hyundai Motor Company is a segment of the Hyundai Kia Automotive Group and it administers the world’s biggest incorporated vehicle service at the Ulsan which is situated in the South Korea. The Hyundai Motor India Limited, currently has more than 30 modifications of the passenger cars in the six sections. These various cars feature in the different divisions such as called The Santro is B type car, The Getz a B+ type car,The Accent C type, The Elantra D type, and TheTucson SUV type, etc. In the financial year of 2006, the company also registered the joint sales of around 252,861 units with a steady expansion of 17.26%. In a span of 7 and a half years, The HMIL company has launched around 1,000,000 passenger cars and it is recognized as the chief exporter of the cars with an annual export turnover of around 1,800 crores. To expand its business network, The HMIL has entered into the retail joint venture with the many financial organizations in India like in the names of Sundaram Finance, Mahindra Finance, HDFC Bank, Punjab National Bank, etc. It is an Indian multinational car and manufacturing corporation which is headquartered in Mumbai, Maharashtra in India. Mahindra & Mahindra Limited is one of the largest vehicle manufacturers by the production in India and the largest manufacturer of the tractors in the world. 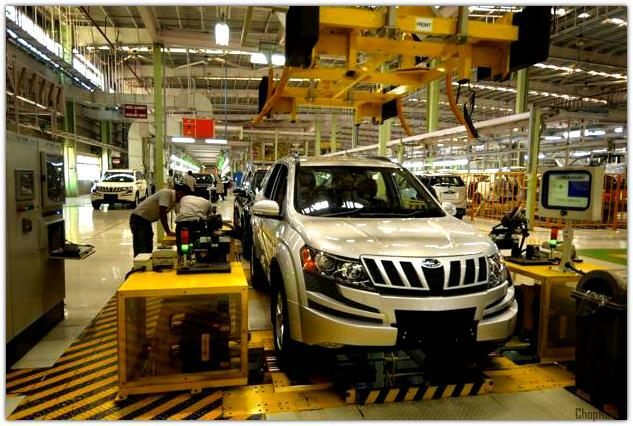 It is a part of the Mahindra Group, with an Indian conglomerate. It was ranked among the 21st on a list of top companies in India by the Fortune India 500 in the year of 2011. Its major competitors in the Indian market which includes The Maruti Suzuki, Tata Motors, Ashok Leyland and the others. The Mahindra & Mahindra Company was set up as a steel trading company in the year of 1945 in the Ludhiana as called Mahindra & Mohammed by the brothers K.C. Mahindra and J.C. Mahindra and also Malik Ghulam Mohammed. After the India gained the independence and the Pakistan was formed, Mohammed was emigrated to Pakistan from where he became that country’s first finance minister. The company changed its name to be called as The Mahindra & Mahindra in the year of 1948. It is eventually saw a business opportunity in the expanding into the manufacturing and selling the larger MUVs, starting with the assembly under the license of the Willys Jeep in India. Soon it established as the Jeep manufacturers of India, the company later on commenced the manufacturing light commercial vehicles and the agricultural tractors. Bajaj Auto Limited is the Indian automotive manufacturing stalwart. It is a division of the one of the 10 largest business companies in India. The Bajaj Group Company, which was founded in the year of 1926. The Bajaj Auto Limited, and the flagship company of the Bajaj Group of companies, is ranked the fourth amongst the largest two-wheeler and the three-wheeler manufacturers in the whole world. It is primarily involved in the manufacturing and also selling of the motorbikes and the scooters (two-wheelers) and the auto-rickshaws (three-wheelers). The Bajaj Group was founded in the year of 1926 by an Indian freedom fighter and the industrialist and also the philanthropist namely Jamnalal Bajaj. Bajaj Auto Limited was founded in the year of November 1945 and it is started off with the selling of two-wheelers and the three-wheelers, which were initially imported in India only. The Bajaj Auto Limited has its headquarters in the states of Pune and Maharashtra. Rahul Bajaj is the Chairman of the Bajaj Group of companies, while Rajiv Bajaj is the Managing Director. The Bajaj Auto has also the massive presence in India as well as in the overseas, manufacturing of two- and the three-wheeler units at a number of the locations in India. 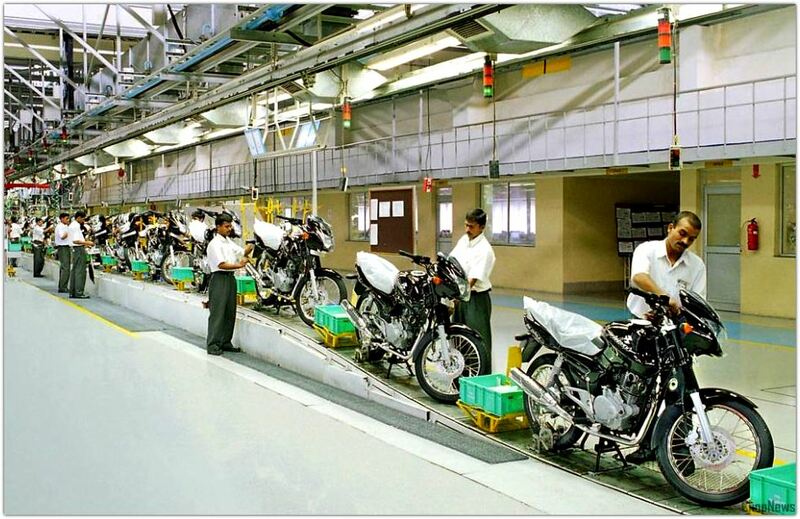 The Uttarakhand is the manufacturing facility which is individual for the manufacturing of the two-wheelers and the Aurangabad plant is used for the manufacturing of three-wheelers. The Hindustan Motors Limited was established in just before the independence in the year of 1942 by Mr. B.M. Birla. It is also a flagship company of the C.K. Birla Group. 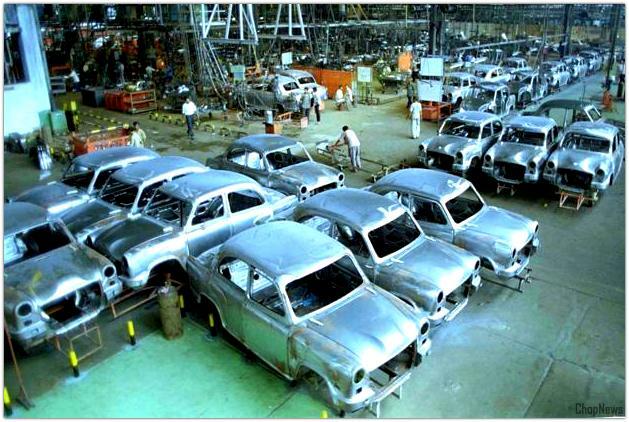 The Hindustan Motors Limited operations began in the small assembly plant in the Port Okha near Gujarat. In the year of 1948, the manufacturing company moved to the Uttarpara in the West Bengal, from where it began the production of the Ambassador. 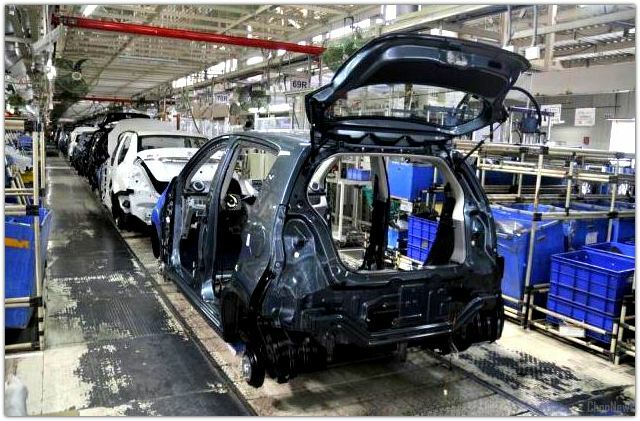 Past over the years it has been equipped itself with the state-of-the-art facilities for the production of the passenger cars, trucks and for the multi-utility vehicles. This exclusive state-of-the art plant is to be dedicated to the manufacturing of the Mitsubishi Lancer in the technical collaboration with the Mitsubishi Motors in Japan. This division is engaged in the manufacture of the passenger cars namely Ambassadors and Contessa and the Multi Utility Vehicles called Trekker, Porter and Pushpak. This plant has the Road Trusted Vehicle division that manufactures of the “RTV” brand of the multi-utility vehicles, in the technical collaboration with the OKA Motor Company in Australia. So, these are The Top Five Companies in Automobile the Industries. If any Queries or Question is persist then please feel free to comment your view points.